A classic handmade lantern with a beautiful domed glass shade. 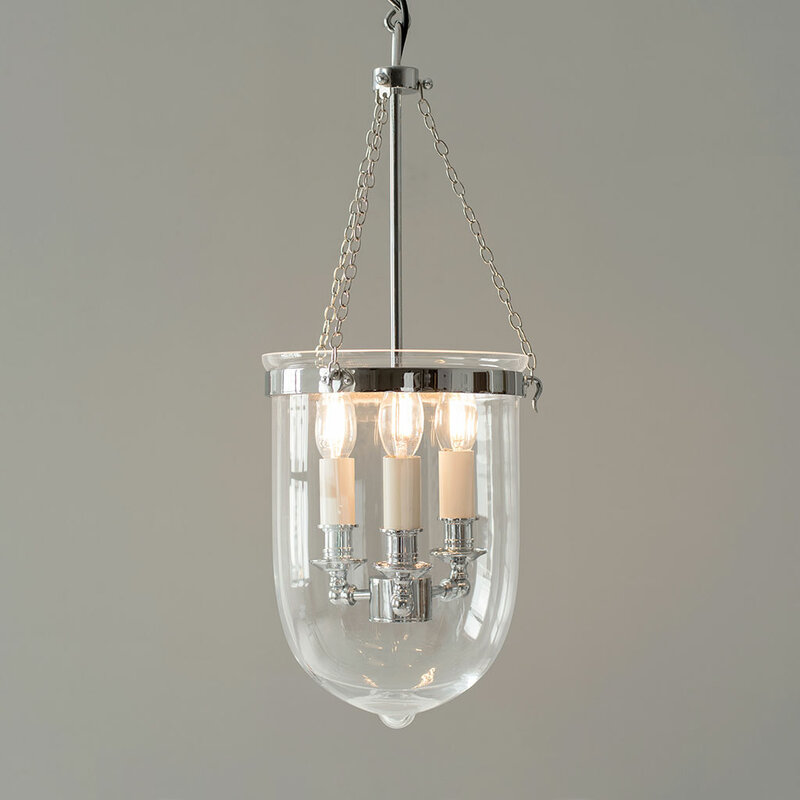 With a striking nickel plated finish, this three light lantern would be a wonderful addition to any dining room, bedroom, living room or hallway. Additional Information: supplied with 1m of chain and ceiling fixing.